Each and every gift to Columbia College has an impact, no matter the size. 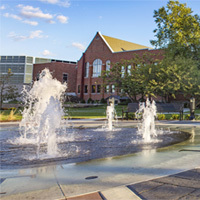 Donors choose exactly where they want their contributions to go; these donations can enhance buildings, equipment or any aspect of the college's operations. Where donations normally have the biggest impact, however, is on the lives of students and their families. As Columbia College President Dr. Scott Dalrymple stood on the first step of the Whitcraft-Schiffman Memorial Amphitheater, gazing out at the crowd of more than 100 people who had come out to help him christen the college's new Quad, he couldn’t help but think back to when the project was merely an idea. “We envisioned the Quad as a place to celebrate the college’s past, present and future,” Dalrymple said. “Since 1851, we have been proud to provide lifelong education in a student-centric environment. That heritage is on full display today.” Read more. Pascale White had already beaten cancer once before, when she was a toddler. It took three years of chemotherapy, but she was able to overcome the acute lymphoblastic leukemia that attacked her blood and bone marrow. Less than two years later, it came back. She was only 6 and, for the second time in her young life, battling for her existence. The relapse is the one that sticks with her. “I remember getting stabbed a lot for getting blood drawn. That was never fun,” Pascale says. “It affects you as a child. Any time, even today, that I have to get my blood drawn, I freak out about it. It’s hard to me, still, to even step into a hospital.” Read more. Click here to give to the Columbia College Fund. 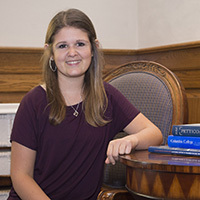 Michaela Horstman graduated from Columbia College with her Bachelor of Science degree in Business Administration in 2017. She walked across the stage after only three years in college and without any debt from student loans. The scholarships she has received from Columbia College helped see to that. Read more. 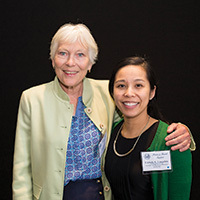 Each spring Columbia College hosts the Honors and Awards convocation and luncheon celebrations to recognize students’ academic contributions through gifts and scholarships. 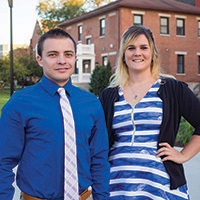 In April 2018, more than $220,000 in privately endowed aid was presented to 137 students to be used in the 2019 fiscal year. Read about the Barnhouse Memorial Scholarship. Even after a decade, the tears still flow and the hugs are both needed and welcomed surrounding this particular gathering. Last Friday, on a beautiful fall afternoon in Columbia, Missouri, members of the Blue Knights Law Enforcement Motorcycle Club of Central Missouri delivered a gift of more than $4,000 for the Columbia College Molly S. Thomas Bowden ’02 Memorial Scholarship. 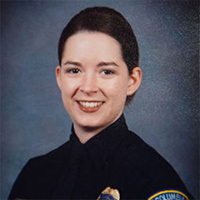 The scholarship was founded in honor of Bowden by Columbia College faculty member Dr. Joseph Carrier following her death while in the line of duty for the Columbia Police Department in 2005. A female student majoring in criminal justice is awarded the scholarship every year. “This is a way to keep Molly’s legacy and story alive, basically,” said Corey Bowden ’98, Molly Bowden’s husband at the time of her death. “To do something and be able to give back in her name, personally for me, it helps me heal a little bit.” Read more. Click here to give to a Columbia College Scholarship. 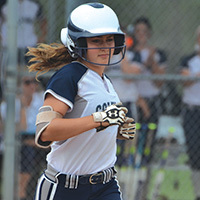 The Cougars had a very successful year that included five outright AMC Championships and a share of two others. As a department, Columbia College finished with a record of 196-58-5 in all head-to-head matchups while finishing 114-19-2 in the AMC. The Cougars finished the year with an impressive 30 First Team All-AMC selections, 120 Academic All-AMC honorees, 16 NAIA All-Americans, seven NAIA Honorable Mention All-Americans, four CoSIDA Academic All-America® First Team recipients, 23 Daktronics-NAIA Scholar Athletes, eight AMC Freshman of the Year selections, 11 AMC Player of the Year winners, six AMC Coach of the Year selections, three AMC Newcomer of the Year honorees, a CoSIDA Academic All-America® of the Year, and an NAIA National Champion. Read more. 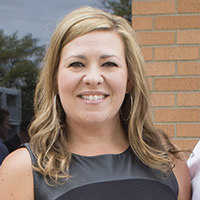 Andrea Paul grew up in Jefferson City and received her Bachelor of Science from William Woods University. In 2008, she moved to the private sector and became an account manager for GFI Digital, Inc. Through the process of developing relationships with various companies and organizations in Columbia, the importance of community involvement and support became a major focus. In 2014, her key goal became investing in higher education and increasing the opportunity for student athletes to attend Columbia College. Because of her love and passion for the game of golf, the Andrea Lee Paul golf scholarship fund was created. Click here to give to Columbia College Athletics. The 2017 Columbia College Student Entrepreneur Showcase Pitch Competition was more than just an opportunity for James Panzone to win $5,000 to help his burgeoning business, Fertility-Pak, grow. It was an opportunity to tell his story of great excitement at the possibility of having a child with his wife, Brittney, turn to the depths of despair that they have experienced realizing their dream had been shattered by several miscarriages. Through these painful experiences, Panzone, who calls Orlando, Florida, home and attends the Columbia College-Patrick Air Force Base location, was able to come up with the Fertility-Pak concept, which aids couples in the process of conceiving a child. 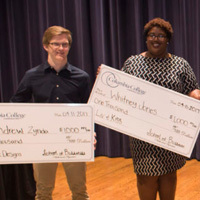 With thoughtful, personal planning and the clear, concise answers Panzone provided to the panel of four judges, he was able to clinch to top prize at competition, which took place April 11. Read more. 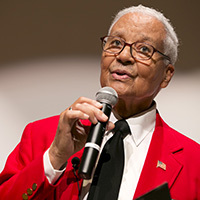 The story of the Tuskegee Airmen is a remarkable one. This intrepid group of African-American fighter pilots not only helped break down racial barriers in the armed forces, but also played a significant role in the United States’ victory in World War II. One of the prominent figures in this group was Col. Charles E. McGee, a 1978 graduate of Columbia College-Kansas City. To honor this true American hero, Columbia College established the Colonel Charles E. McGee Scholarship Fund. The scholarship is awarded to a veteran student who embodies the spirit and courage of Col. McGee. Read more. Click here to give to a fund that supports nationwide and online students.